Good Morning to you on this Wednesday. 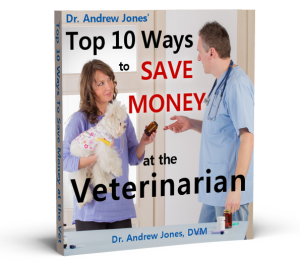 IS there something that you can give your dog to help TREAT joint injuries naturally? I have been seeing what seems to be far MORE joint injuries. More specifically Anterior Cruciate Injuries. This is the main ligament which supplies support to the knee. It can be injured during exercise, such as a misplaced knee – or if the knee is overextended. I was recently asked WHY? Meaning why are there so many more ACL injuries than what was occurring 20 years ago? There is the discussion around genetics. Some believe that the conformation of many dogs (and a few cats) with straight knees, makes the knee prone to injury. Sudden stops and starts- such as repeatedly throwing a ball put more force on the knee- increasing the chance of injury. I do see MORE ACL injuries from certain litters- SOMETHING is making the ligaments weaker and more prone to injury. Some of the suspected culprits are what I have OFTEN talked about. 4. Conventional Medication. Prednisone is a classic example of a medication that will weaken the ligaments. 5. Vaccines- If there is an auto-immune basis to joint damage, vaccines will be at the top of the list. It’s NO surprise that the increase in Cruciate Injuries correlates with increasing number of vaccines. 6. Diet- yup the BIG one. First obesity plays a big role. IF your pet is overweight, they are FAR more likely to injure their knee. Then the unknown is WHAT else is missing in dog and cat diets to weaken the ligaments. The farm dogs of 50 years ago had few injured knees. And their diet consisted of fresh meat, some carbs, and fruit and vegetables. Clearly there are NUTRIENTS missing which are KEY to keeping the joints strong and healthy. Another option is to use a quality, complete supplement. P.S. I see far TOO many dogs with this injury, and I end up having to perform surgery. And a surgical knee is NEVER quite the same as an uninjured knee. Along with having a Large dog (Lewis), I have thought a lot about what I can do to PREVENT this from happening in the first place. Here is what I do for Lewis. 2. Less conventional medication, alternatives when possible. 3. I keep him fit with regular exercise- swimming as much as possible. 5. I supplement with nutrients designed to INCREASE ligament strength. My dog doesn’t have injured joints but her hips seem to be very sore. She is a cross mix of border collie and retriever and is turning 9 in November. She is not eating much and has lost weight. I’m wondering if she may suffer from hip dysplasia and if I should feed her Vitamin D and Calcium. Will that help and what else can I do to make her better? Our dog was limping and having trouble getting up. She was diagnosed with this ligament disease. The limping has completely gone away for the last year or so. The only thing I know of that changed is moving from one “high grade” bagged dry dog food to another a couple times, and starting her on thyroid medicine for hypothyroidism.